We start new Spanish language group courses every month. You have to register in advance. For a new batch to start we need a minimum number of students. If there are 5-7 students, the batches will be of 60 hrs. instead of 70/80 hrs. We require 8 students or more in a batch to have an 80 hrs. course (or 70 hrs in the case of a weekend batch). 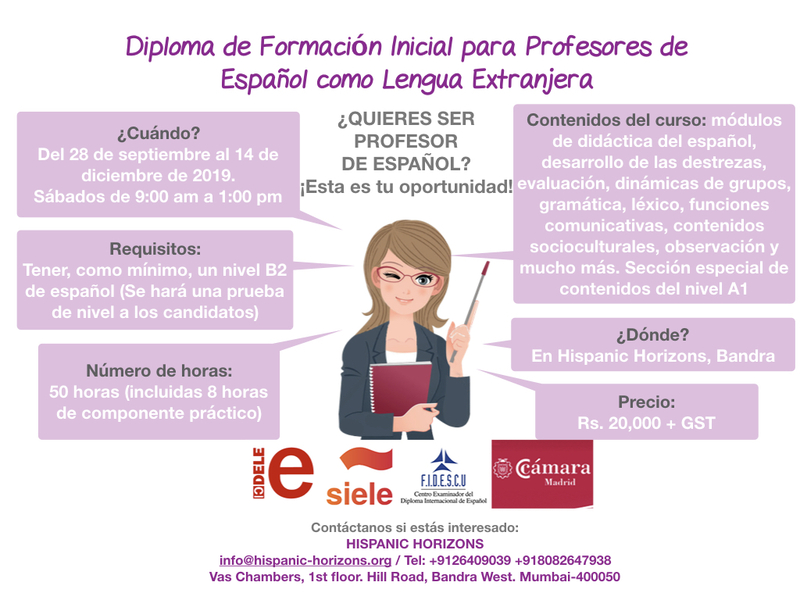 Please be in touch with us to be updated about the upcoming Spanish language courses. Our classrooms are equipped with AC, Wifi and multimedia. We organise IB and ICSE group classes on demand. Please get in touch with us if you are interested. Find out more about the online Spanish courses by clicking here.